How Tempered Glass Screen Protectors can save your Screen! As I'm sure you've heard, having tempered glass is one of the best ways to protect your phone - it is a layer of hardened glass pasted on top of your smartphone screen. Back in the days, people used to use plastic tempered glass that provide scratch protection but doesn't offer drop protection - this was largely because screens back then were much smaller and had less surface area for the glass to break. But as phones get increasingly larger screens, we are forced to contend with the prospect of broken screens. That is where tempered glass screens come into play - they are arguably more important than a good case in protecting the most important component of your smartphone - the screen. A normal sheet of glass would break and shatter on any impact - and may actually case damage to the actual glass on smartphones - so these adhesive glass must be tempered, or strengthened to toughen them up - this will then provide the actual drop protection benefit. Because it's another sheet of glass, it will also provide scratch protection. At HiTech Handymen, we are able to witness multitude of phones with tempered glass that survive multiple impacts without any damage to the screen underneath. This is the primary benefit of tempered glass screen protectors. 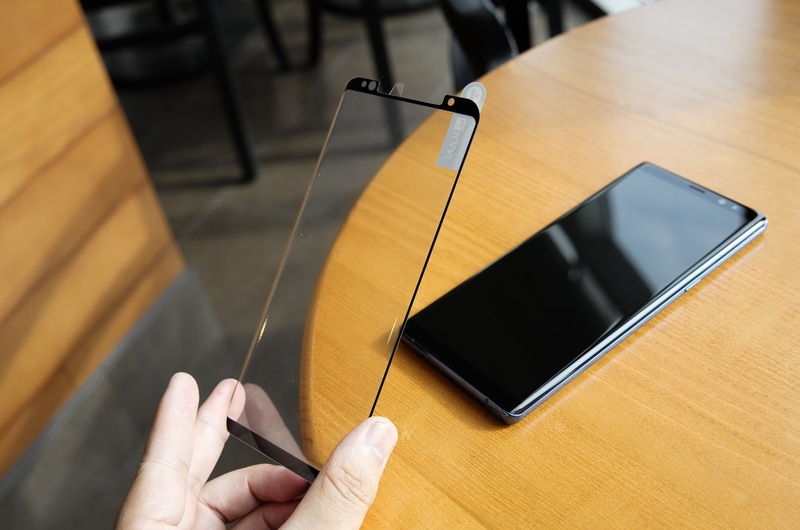 Best of all, they are inexpensive additions to protect your phone - at HiTech Handymen, our tempered glass with installation is just $9.99, so you can protect your phone at minimal cost to you! On top of everything, having tempered glass on your phone will have no detrimental effects on the responsiveness of the touchscreen or force-touch gestures on select newer iPhone models. It is a smooth layer of glass that will have the same glossy, smooth texture that you enjoy on the actual screen. Consider getting a tempered glass screen protector on your phone ASAP if you don't have one and at HiTech Handymen, we have them for *just* $9.99!